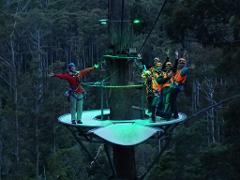 Glide across the treetops in this award winning and unique forest zipline adventure, gaining a bird's-eye view of Tasmania's beautiful forests. This adventure is approx 2.5hrs. Complimentary digital photos provided. 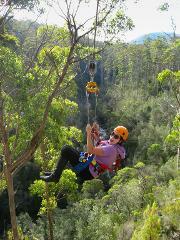 Watch the colours of the forest change around you as the sun begins to set in the valley and turns to evening. Approx. 2.5-hours. Complimentary digital photos provided. Available 28 Dec - 25 Jan and by request outside these times.